PAS | Performance Art Studies is the first time invited to Israel. 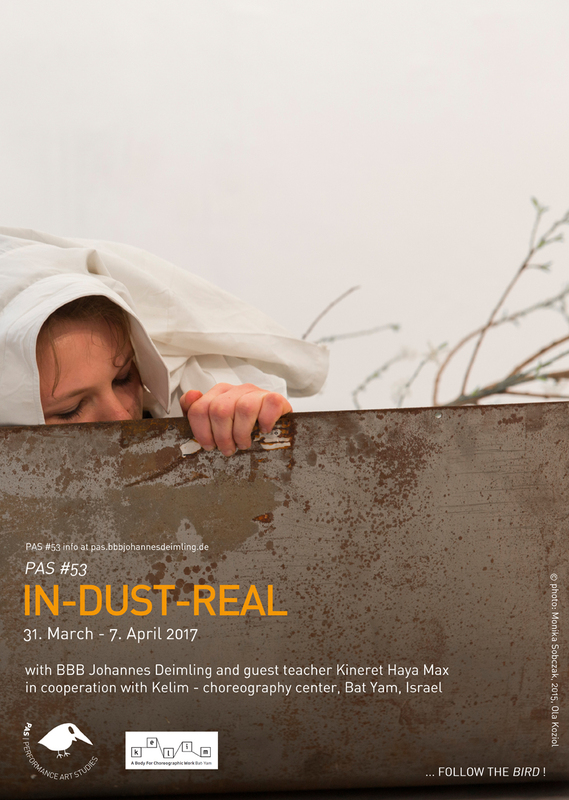 With the study format ‘IN-DUST-REAL’ we are continuing the performance research within foreign neighborhoods to enhance the social and geographical potential of performance art practice. BBB Johannes Deimling and guest teacher Kineret Haya Max will work with local and international participants in several workshop settings in Jerusalem, Tel Aviv and Bat Yam.